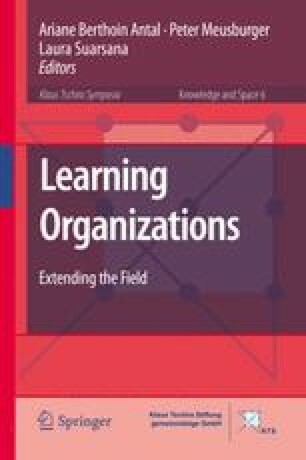 The birthplace of the field of organizational learning can be traced back to management scholars in the United States who were interested in organizational behavior. Over the years it has attracted researchers from diverse disciplines and from all around the world. It is particularly apt to address the way interest in the field has spread and how it has been populated so far, given that the current edited volume is appearing in the series Knowledge and Space, an intellectual venture launched by the department of geography at Heidelberg University.